First up, shall we talk about the weather? Well, we are British so it would be rude not to. We are a nation obsessed with the weather. It’s understandable, we so rarely have seasons set in stone so even the summer months can be uncertain. Lee of Lee Allison photography says that rain doesn’t always mean terrible photos! In fact, when shot by the right photographer in the right way can mean AMAZING shots! Lina and Tom Photography demonstrating here how to smash a rainy day wedding out the park. 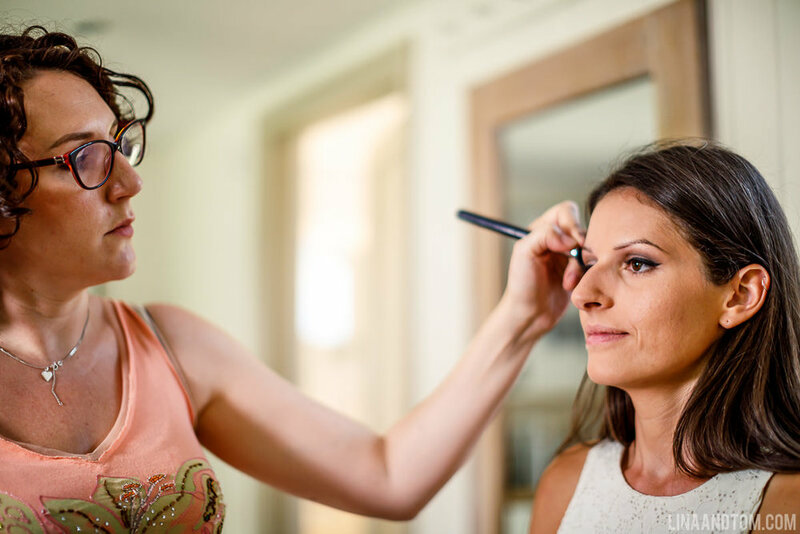 Timings are one of the things as a Bride I had NO idea about. How long should I allocate for each part? When should we sneak off and have pictures taken of just us? Photo by Rafe Abrook. Always ensure your makeup artist (in this case, me!) faces you INTO the daylight for shots like this. Why do you need a second photographer at your wedding? Photo by Rafe Abrook. Giving grooms their chance to shine, in a manly way. Rafe also says about venues…Your venue is going to be lovely, and even if I haven’t shot there before, I won’t need to view it beforehand. I react super quickly to my surroundings and am driven by light, composition and moments, the combination of which won’t be there at any other time than your wedding day. I will have time during the morning prep, and wedding reception and breakfast to look around and find places for B&G portraits so trust me that I will make the most of everything available to us! However with church weddings, I always ask you to check, double check and then triple check with the vicar what the rules are on photography as I REALLY need to be at the front of the church somewhere to get a good angle on you both for the ceremony. I will be discreet, quiet and respectful of the service. I even have a completely geeky silent mirrorless camera now which you could mention to sweeten the vicar. Either way it’s essential that I know in advance how the land lies with this. Group Shots - Do you? Don’t you? How do you avoid losing hours to this really easily? Rafe strongly encourages keeping the list to direct family and bridal/groom party only to avoid losing a large chunk of your wedding reception to this. A well organised Group Shot session can be done in as little as 20 mins but there is nearly always someone we need who isn’t there so we need to budget longer. Doing the group shot of the whole wedding party makes everyone feel involved and reduces the chances of Aunties and Uncles expecting extended family group shots which can be tricky to make look good with 20 odd people to fit in. Again, we will run through this at the planning stage and I will make sure we get what you require in the most efficient way possible. Top Tip: Make sure you get a photo of just parents & siblings without partners, even if you add in partners afterwards in a political move. My Mum insisted on having my brothers girlfriend at the time in all of our group shots and 3 months later they weren’t together! This can easily be done without causing offence- Rafe. Lee also has another gem of wisdom when it comes to portraits. Put aside 30 minutes and if it needs to be split into two 15 minute sections then so be it. Try and get out in that ‘magic hour’ as the sun sets so you can capture images such as this.. These images by Rafe below are fine examples of how couples portraits don’t have to be awkward/boring. Rafe specialises in capturing the LOVE as well as the fancy stuff. Worth leaving enough time if you can get yourself a photo like this, right? Food- This may be something you haven’t even considered! But you absolutely MUST feed your photographers. They can’t be expected to lug around a petrol station sandwich and a banana all day and sustain their energies for the hours they are working. None of us would want to do a full days work with no food. Soe of them are travelling miles or staying overnight so a packed lunch isn’t always an option. Rafe puts it like this - Whilst you all eat, we’ll take a break and enjoy the meals you have kindly provided for us. Nobody likes being photographed whilst eating and we will be running on fumes by then anyway. When you’re organising catering the venue will usually ask you if you are feeding your photographers. Once eaten we will then prepare and set our lighting up for the speeches assuming they are after the meal. Top Tip: Save a few ££ by letting us order from the bar menu if the venue has one and give us £15-£20 per head to spend as this will usually be less than an extra wedding meal! Speeches - Have you even considered how speeches and photographers combine? You really must. Some of the best most emotive photos come of the reactions to the speeches. Rafe wisely suggests that if you want to really capture the speech photos, opt for a flat/long Top Table as it’s far easier to photograph than a round one during this part of the day. What happens at the after party? Most photographers stay to capture at least some of this. Managing expectation is something a lot of photographers agreed was something they wanted to talk about. Have realistic expectations of your photographer: if you've been pinning those gorgeous Californian wedding sunsets but are getting married in an urban town centre, your photos will be different! 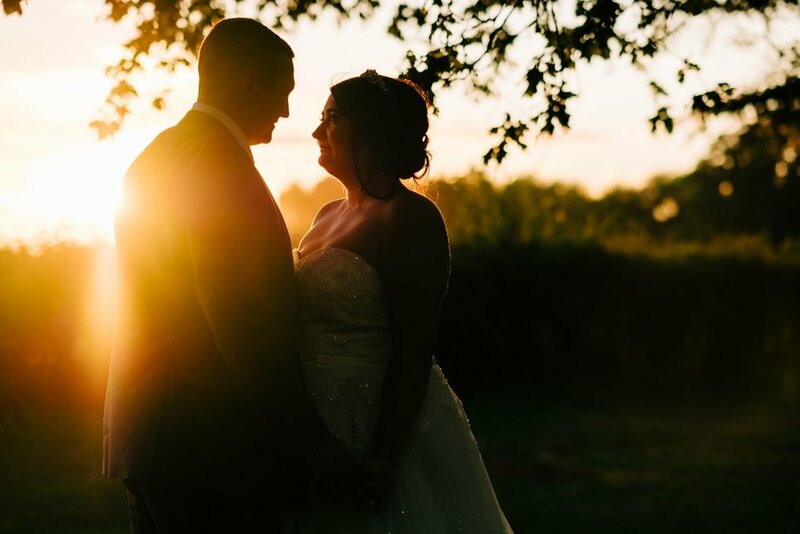 But trust in your chosen photographer to come up with their own creative storytelling of your big day and you'll no doubt have some wonderfully unique images of your wedding, rather than a carbon copy of whatever is on trend today! And I agree! Make your wedding about YOU and your marriage, rather than what you think will look the best on Instagram/a wedding blog. Rafe says - Be daring. Be original. Be brave. There is no script. Do what you want and know that if it’s something unique and crazy that I will be very excited by it. I also want to add in one last section from Rafe about timings and expectation management, because, like I’ve said before, how would you be expected to know this? But I often hear people aghast at the length of time it can take to receive the full gallery of wedding photos. Some might even class it as moaning… Rafe puts is best explained here - I shoot 30-40 weddings per year and often shoot 5 or 6 in a busy month. Aside from March, I nearly always have a wedding queue that you will join after the Sneak Peek. Typically, full galleries are delivered to you around the 10-12 week mark although this can be less earlier in the year. Please be patient and understand that I can’t skip people up the queue no matter how many times you say my hair looks amazing. The editing process has several layers of work that I won’t bore you with here, but this is why you paid the BIG BUCKS for a proper Wedding Photographer. Attention to detail and care to ensure all images reach my own exacting standards. Rome wasn’t built in a day, even if Newport Pagnell was. That is a LOT of very useful information. I hope this takes away a bit of the uncertainty you may feel when organising your wedding? Please don’t hesitate to get in touch with any one of these photographers. I’ll pop their links below for you to find them. Keep your eyes peeled for the rest of this series.